Early oil painting by the master – David Shepherd. 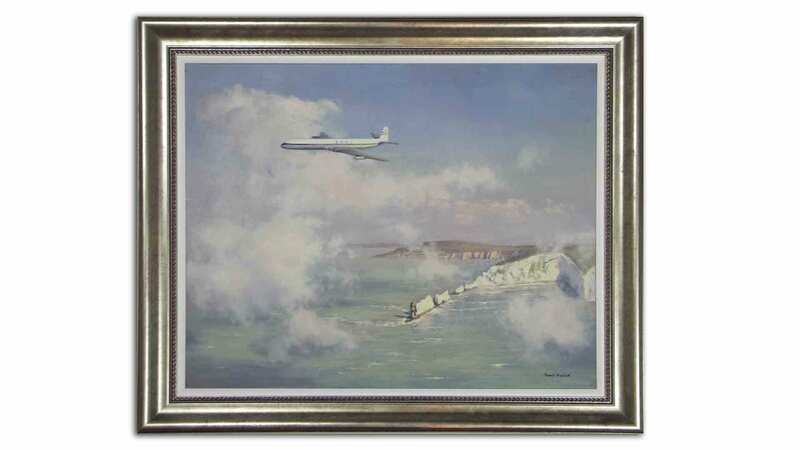 This picture is of an old BOAC aeroplane flying over the Needles in the Isle of Wight. This picture really does show the skills that David possessed. For example, if you stare at the clouds for a while, the rest of the picture really does become 3D and you feel like you are a bird viewing the scene. This is a must buy for serious Shepherd collectors as it will only rise in value.